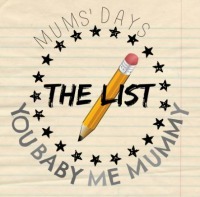 I'm joining in with Working Mummy and Wife for her brand new linky My Week at a Glance. This is a great way to document your week in a few photos for everyone to see what you've been up to. So here's mines. We started the week with Finley at pre school on Monday but once he was home I had two helpers with my washing. It did take triple the time it would if I was to do it alone but it kept them quiet lol. On Tuesday we enjoyed a walk with some friends (My Ordinary Moment #8) at Westonbirt Aboretum. It's a great way to spend some time out in the open air with the boys. Wednesday saw another pre school day so while Finley was there. Noah and I baked some Easter cakes (Chocolate Mini Egg Cupcakes), bought some new sunglasses for Noah and had some fun in the garden mowing the grass before collecting Finley. Thursday saw a half day of pre school so our afternoon was full of playing, which included playing with their new Doc Mcstuffins doctors bag. Friday we saw my mum it was great to spend a day with her. On Saturday evening i enjoyed some me time watching Magic Mike and drinking wine with amazing friends. And then to end our week we had a family day with friends at a Lambing Weekend at a local college. It was such an amazing day out (Point + Shoot).